Meanwhile back home we wait to watch the ice melt, almost as stimulating as watching paint dry and grass grow. We are held hostage to the ice boom! Once that ice goes, it is free sailing. Here in Youngstown we wait for that ice to pass before we can set moorings. Over in Niagara on the Lake, they have a protected harbor so they can launch. In fact, last weekend, the NOLSC starting racing. Sure they have to dodge some icebergs, but shouldn't someone be watching for traffic anyway?! 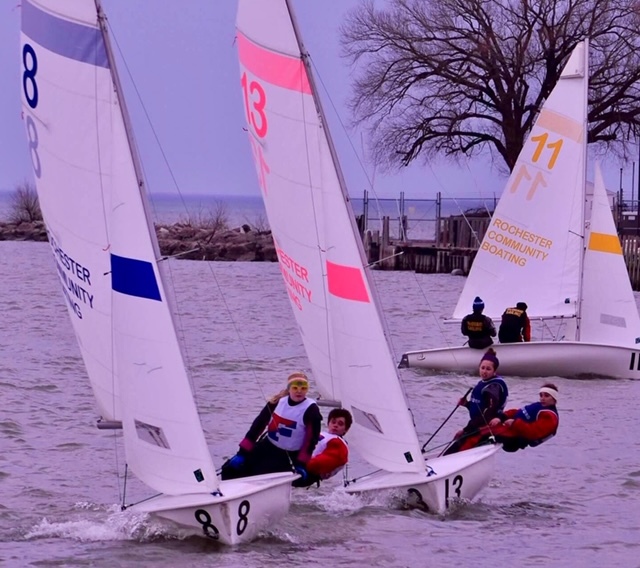 Cold Water Kids - Buffalo High School Sailing Makes the News: Watch the video! The Big Red Boat: On April 10 there was a large red Canadian Coast Guard icebreaker working to clear a path through the ice into Buffalo Harbor. We have not seen that before, our guess is they are preparing for a ship to come into the port soon. 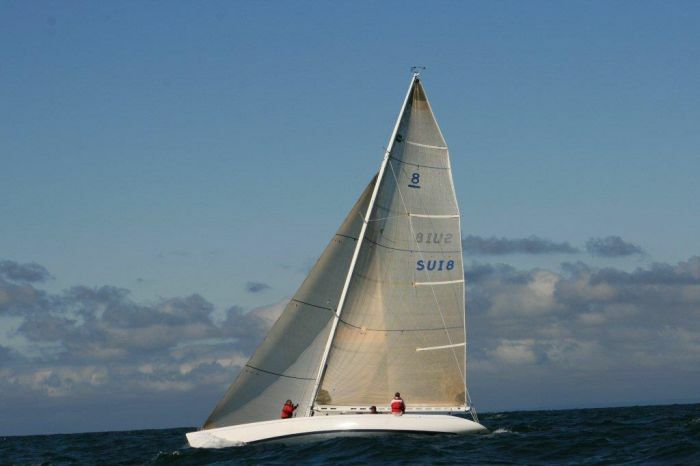 The Touch2Play Winter Circuit: Rob Butler is a friend to many sailors from Lake Ontario (and beyond). Rob has done the Carribbean circuit the last few years and just recently, he hosted several locals. Rob's Reflex 38 consistently finishes in the top three in every event. Larry Huibers is the crew boss and he has recruited some very good sailors to join. Not only good sailors, but fun people to be around! 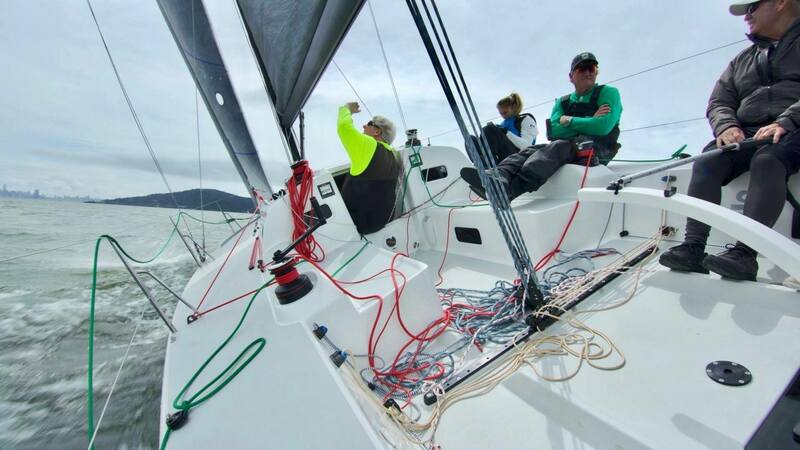 In case you were wondering, this is not a bad way to enjoy a break from the winter weather and do some sailing in the sunny and breezy conditions there. Too much of a good thing? by Don Finkle: It is no secret that attendance at many events is down. 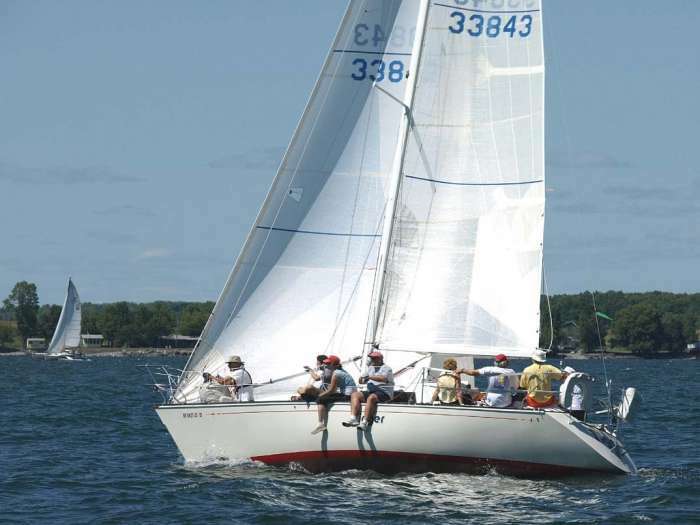 Despite this more and more races and regattas keep being added to an already crowded calendar. Nobody has that much free time anymore. The result is diluted competition, conflicts between events, less fun for the participants, smaller parties, less attractiveness to sponsors and problems for the organizers trying to make the budget work. There is a solution. Keep the major bucket list events as they are. The smaller events should rotate so they are not annual. This would take coordination, much like scheduling meetings we used to have when setting up the hockey league calendar. Each organization could still take their turn hosting, but it might be on a every two or three year cycle. It will take discipline but there is no reason it won't work. The path we are on is not sustainable. 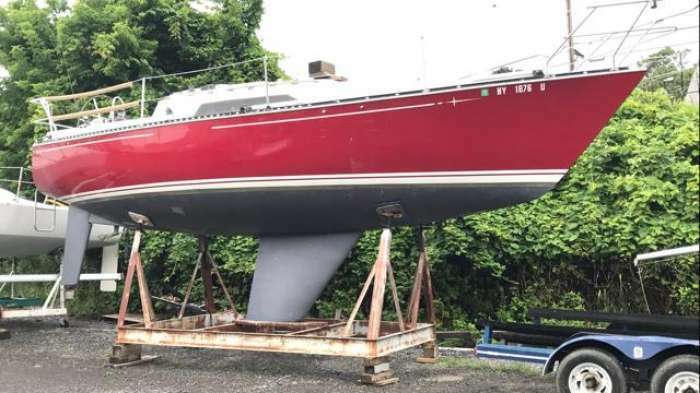 It is never going to be perfect, by Don: For as long as I have been sailing (60+ years) there have been a parade of new handicapping systems coming along in the never-ending search for the perfect solution to racing different types of boats together. Get over it, there is no perfect system and it is impossible to have one. Each time a new rule comes along it is touted as being more equitable than the last. There is a rush to try it that lasts a few years until the next one appears on the scene. The reason is simple, people who aren't winning think a different rule will change their fortunes. 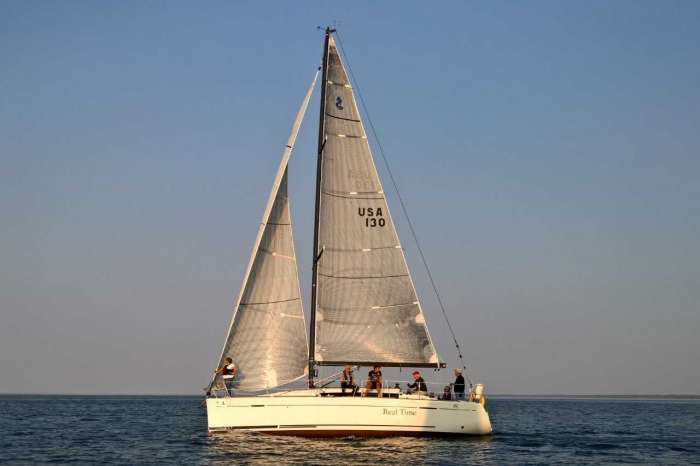 Unless you are racing one design (and that is not for everybody) you should accept the fact that the system is what it is and go sail. Do the best you can, enjoy the friends you sail with and against, and be happy you are on the water instead of being at a desk somewhere. What is the best way to win races? by Don: Work on getting good people to sail with you. 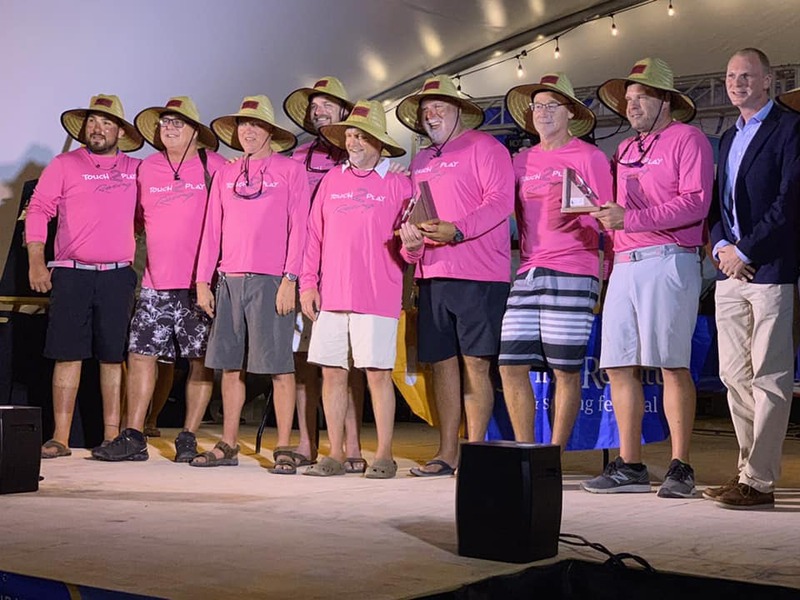 The human factor is the most important part of any race boat. 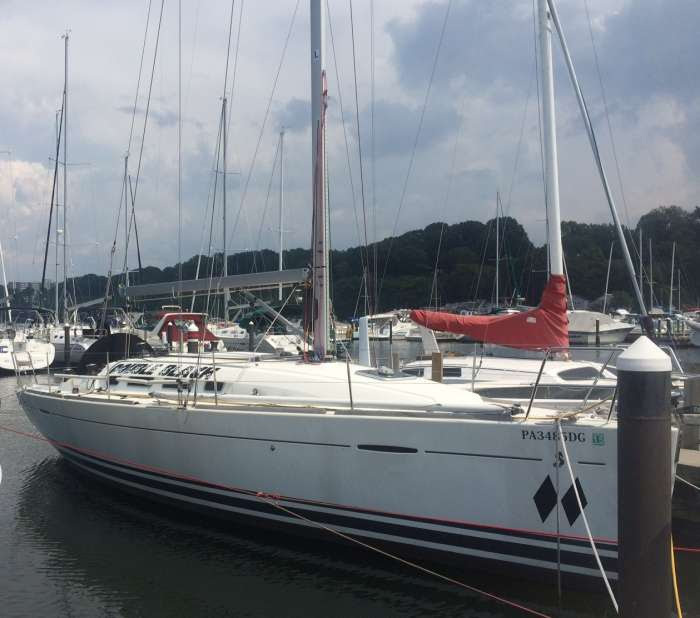 This does not mean loading your crew from stem to stern with stars, but even one good sailor will have an impact on the whole crew and the results of the team. The kicker is you need people who are good sailors and fun to be with. Someone who can teach others and works well with crew of varying abilities. They don't grow on trees but if you start early and ask around you can find them. 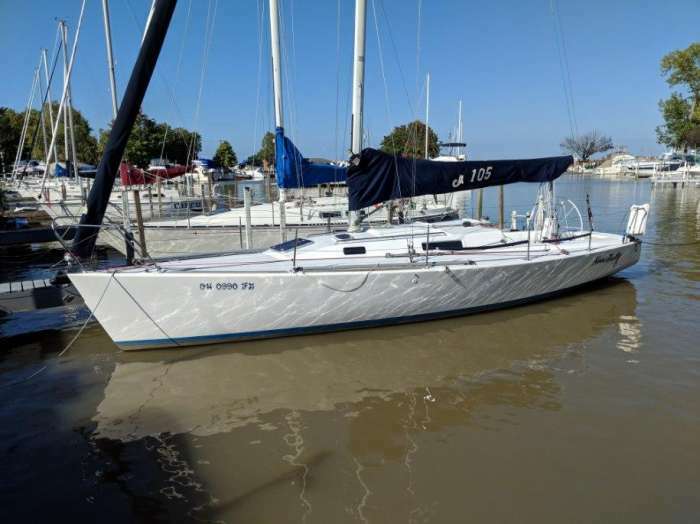 Often in different classes or kinds of boats. A word of caution, avoid anyone who is skilled but a yeller, hard on others and no fun to be around. Winning is never worth putting up with that. QTR, Quality Time Remaining from Don Finkle: You don't have to be an octagenerian to realize that we each only have so much time left to enjoy our remaining years. None of us know how many we have, but the older we are that number continues to shrink. So use our time wisely. Make sure we don't waste the opportunity to be on the water if that is something we enjoy doing. 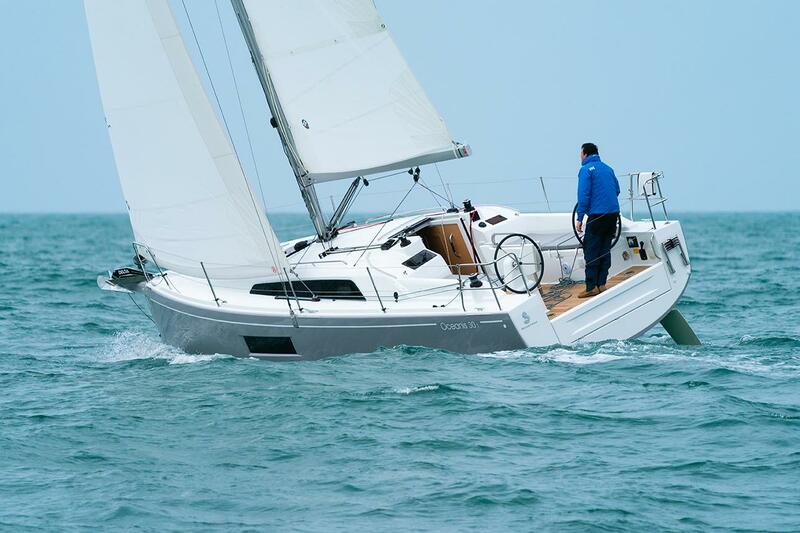 New J70 Fleet Building Package for 2020: With nearly 1,500 boats sailing in 25+ countries, the rapid acceptance and worldwide growth of the J/70 has been nothing short of remarkable. 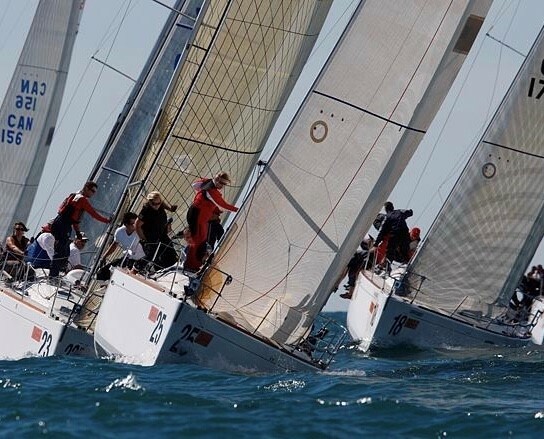 J/70 regional, national and international events are stronger than ever; numerous national and institutional programs are adopting the J/70 platform for event and training use; and the J/70 Class has organized a great line-up of future World Championships including Torbay, UK in 2019, Marina del Rey, CA in 2020, Monte Carlo, Monaco in 2021 and Newport, RI in 2022. 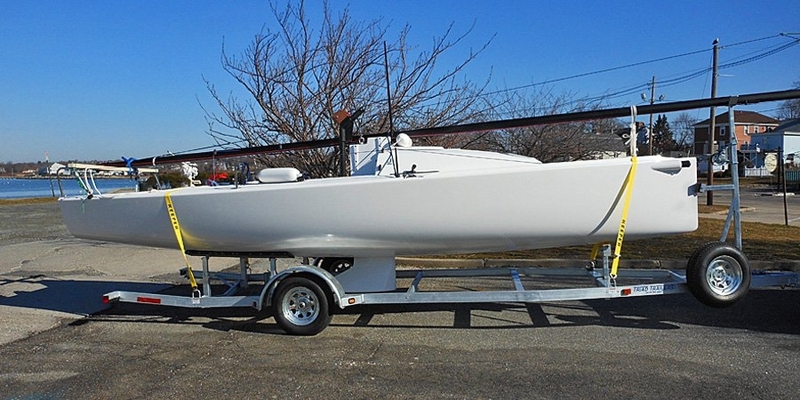 The special package price is $49,900 (Bristol, RI) with orders being accepted between April 8, 2019 and October 15, 2019 for delivery between July and December 2019. 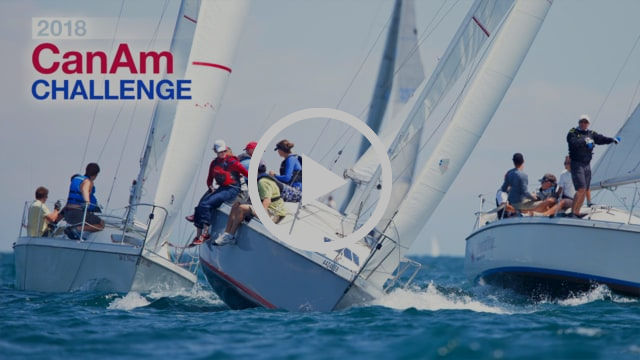 2019 CanAm registration is up! 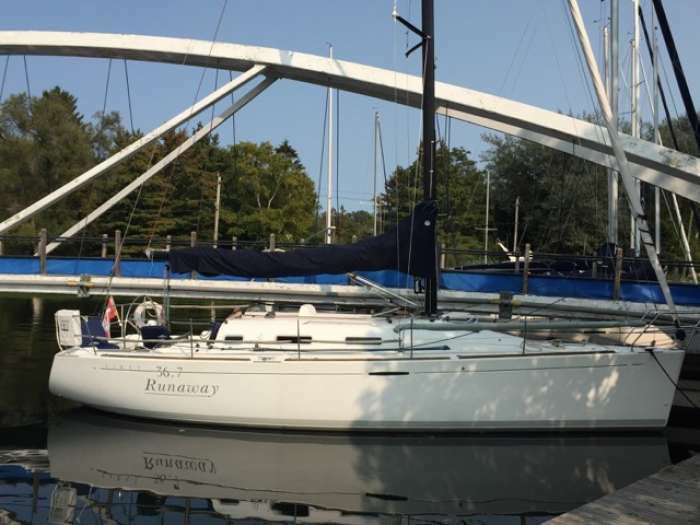 : https://yachtscoring.com/emenu.cfm?eID=6161. We would like to emphasize that we are open to ALL boats, not just one design. 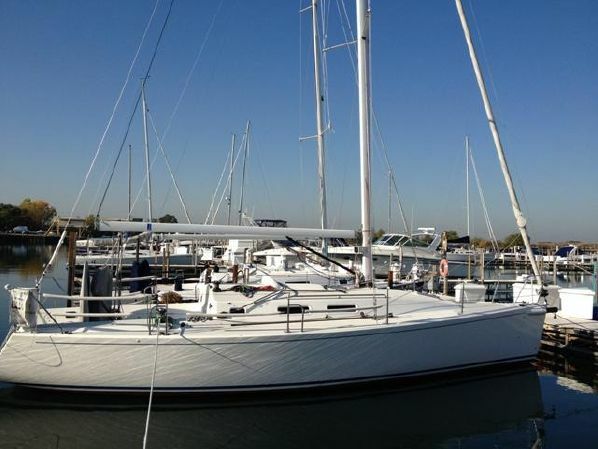 We will have fleets for PHRF and IRC, multi-hull, and one design. If you come, we will have racing for you! 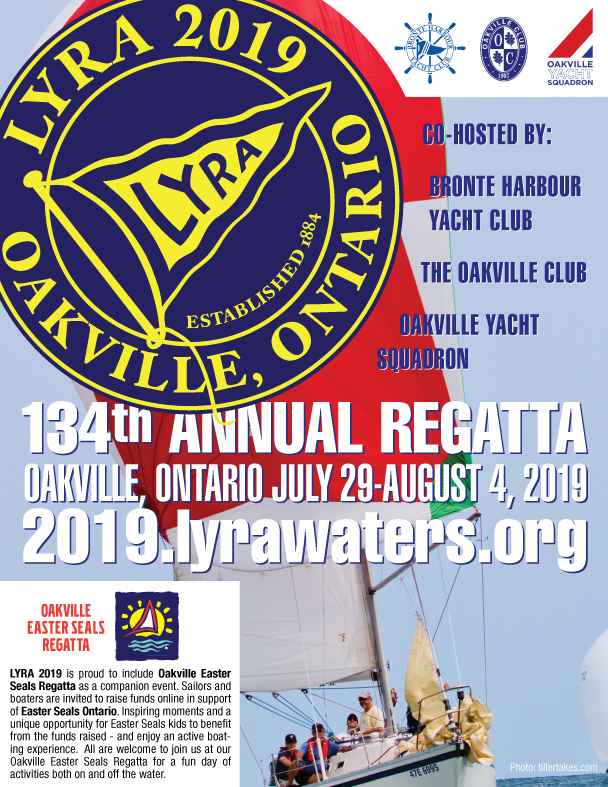 We are hoping that boats from Buffalo, Toronto, Rochester, etc will make the trip and then race LYRA the week after. This year is a two day event, no Friday racing. We went thru several gyrations of everything stretching and settling in and finally got the rig set up correctly. 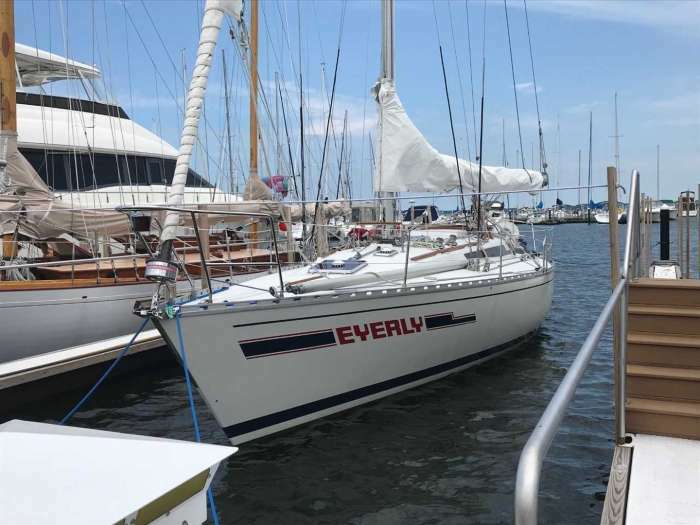 The headstay adjustment will be the key to the boat, keep the rig straight as the breeze comes up and then apply backstay. Jeff Thorpe and Peter Cameron set the rig up as we went up thru the range, sure helped to have these two guys along. 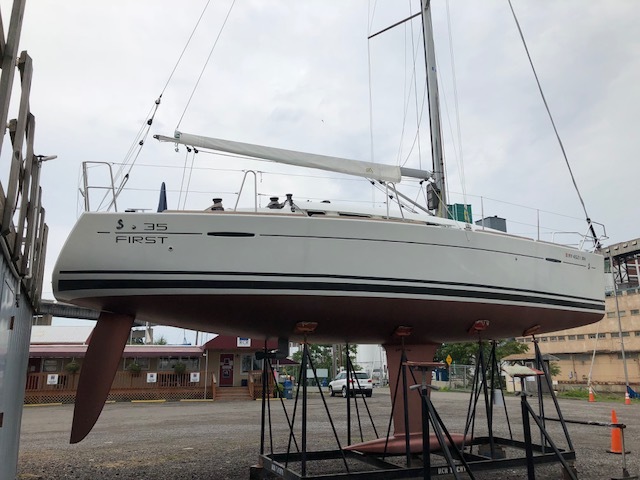 We think we have good numbers in the 14-18 range, we need so sail in a bit more wind to make sure the headstay and shrouds are correct, they are close for sure. We had six on board, the thing is on rails up wind, totally balanced. We did not have anyone hiking, I wanted to see what the stability was like, really stiff, you can sail with two upwind in breeze for sure. As we were tuning I did the old bear away trick to see if you can bear away with sails in, no problem, no shortage of rudder size and control. Downwind we had a few nice 18 knot puffs and we were cruising along at 12 with all the control you would want. Was I surprised with the way the boat handled and sailed, not at all. Al nailed the design and the build was exactly as expected out of J/Europe. 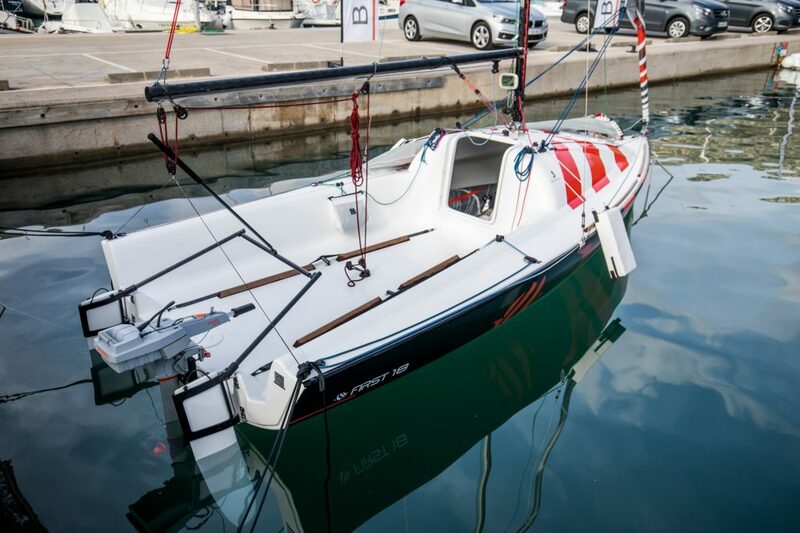 This boat will be a weapon for anyone that wants to go short handed racing. 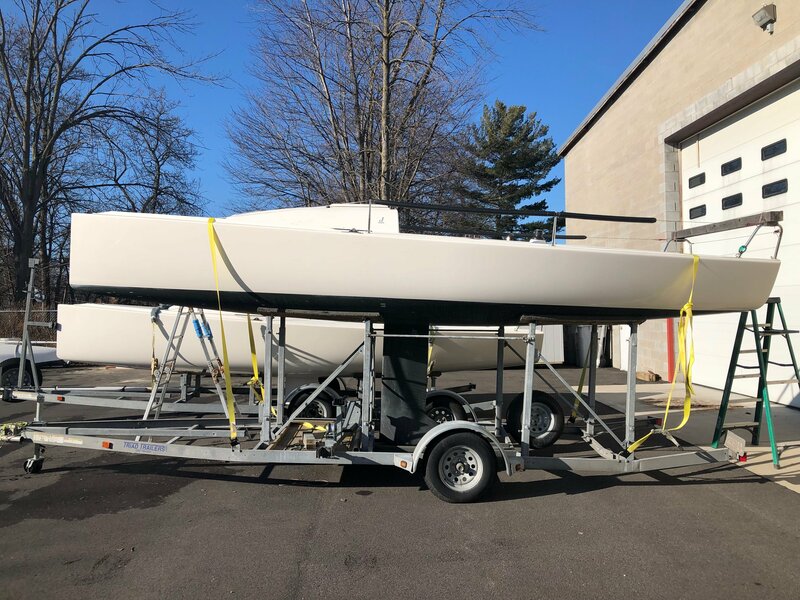 Rochester High School Sailing, by Corbo Corbishley: This past Saturday the Rochester Yacht Club hosted the NYISA-NW, New York Interscholastic Sailing Association - North West Region Qualifier. The day started out a bit wet and damp with no wind, the sailors rigged their boats and waited for the wind. Not much after 10am when the wind finally filled in the races got started. 16 boats were on the line and ready for racing. As the day progressed the wind kept building but we were able to get in 10 races total 5 in each division. The parents and spectators filled the walls around the basin and river to watch some great racing. Congrats go Southwester Central (Jamestown, NY) for winning the day and congrats to Pittsford for finishing in 2nd. 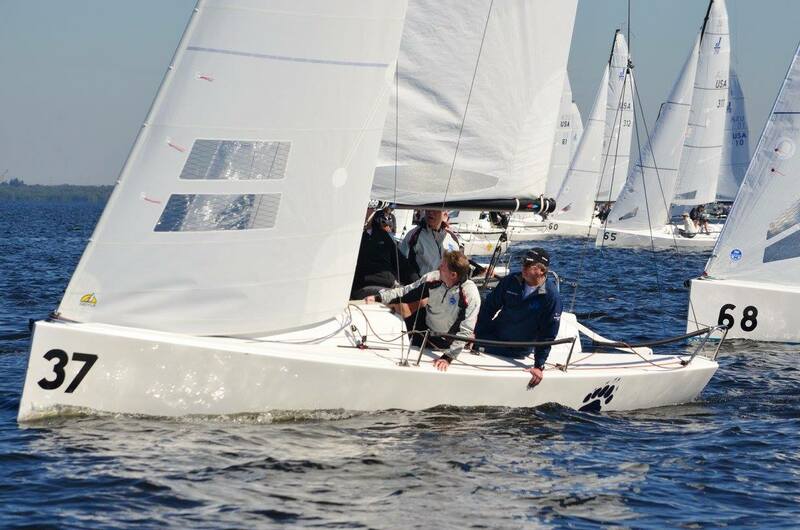 Good luck to all area sailors at the MASSA Gold and Silver Champs.